Please see below for an announcement from Prof. Neil Fraistat (University of Maryland). The Frankenstein celebrations next year are likely to be numerous, and this sounds like a particularly exciting international initiative devoted to promoting the iconic and ever-fascinating novel by Mary Shelley. As you know, the year 2018 marks the 200th anniversary of the publication of Mary Shelley’s Frankenstein, a seminal literary work that, since its appearance, has influenced millions of people across the globe. Frankenstein is a rare work of fiction in that it appeals to both novice and expert readers alike, readers who represent both the breadth of human diversity and a range of disciplinary interests and backgrounds. It is a work that remains relevant to contemporary cultural debates concerning issues ranging from biomedical technologies and the ethical questions they raise to misperceptions and misrepresentations of the Other and their impact on our shared humanity. Frankenstein sparks imagination and critical thinking about the human experience, and thus it is perhaps no surprise that it is the most widely taught literary text in the USA and the fifth most widely taught book from any discipline. to hold in the days leading up to Frankenreads an international “Week of Frankenstein,” during which students, teachers, and the public could hold Frankenstein related events and contribute their thoughts, images, and short videos about Frankenstein to a collective blog. We now invite you now to join our core group of over 40 universities and libraries from 10 countries by involving your university, local library, or community center in participating. To read more about strategies for hosting an event, see a select list of related resources, and to register your own event, go to our dedicated website: frankenreads.org. 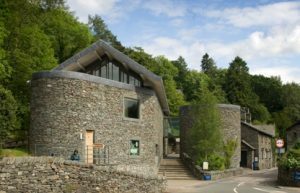 BARS is very pleased to announce that it is expanding its Fellowship scheme in partnership with the Wordsworth Trust so that two early career scholars will have the chance to develop their skills while in residence for a month in Grasmere during the coming academic year. Please see below for details of how to apply. We would like to invite Early Career Researchers who are not in permanent employment to apply for a one-month residential Fellowship with the Wordsworth Trust at Grasmere. The Trust is centred around Dove Cottage, the Wordsworths’ home between 1799 and 1808, where Wordsworth wrote most of his greatest poetry and Dorothy wrote her Grasmere journals. Dove Cottage opened to visitors in 1891, and the Trust celebrated the 125th anniversary of the first day of opening on 27th July 2016. The first museum opened in 1935, coinciding with the bequest of the Wordsworth family archive to the Trust from Gordon Graham Wordsworth. The Trust collection has grown to 65,000 books, manuscripts and works of art, but at its heart remains the manuscript poetry, prose and letters of William and Dorothy Wordsworth. The Trust is embarking on an exciting new HLF-funded project leading up to the commemoration of Wordsworth’s 250th birthday on 7 April 2020. It is an audience driven project, seeking to raise awareness and change public perceptions of Wordsworth’s life and work. It will seek to re-imagine his life, his works and his relevance for today. The project will see onsite developments, such as the redesigning and extension of the present museum, alongside an extensive programme of engagement and activities within Cumbria and beyond. The Trust will be seeking to diversify existing audiences, and extend current work promoting the wellbeing agenda. In other words, actively making Wordsworth’s work accessible and continuing his own wish to see it help people ‘to see, to think and feel’. Application procedure: on one side of A4, provide your name, email contact details, institutional affiliation (if relevant), current employment status, a brief biographical note, a description of your PhD thesis, details of the proposed research and audience based activity, and preferred period of residence (from November 2017). The successful applicant will demonstrate an enthusiasm for audience engagement and learning as well as research, combined in initial ideas for their proposed project. Send the application as an attached Word file to Jeff Cowton and Daniel Cook (J.Cowton@wordsworth.org.uk and d.p.cook@dundee.ac.uk) no later than 30 September 2017. The successful candidate will be informed within two weeks. More reports from BARS 2017! Thank you to the bursary winners who sent these in. See the storify here, and part one here. This was the first BARS conference I had attended and it was truly a treat! The conference offered a great opportunity to witness the exciting directions the field of Romantic studies was taking. The opening plenary by Catherine Hall on colonial slavery and its impact on the development of many towns around England never thought to have been associated with the abhorrent institution was as good an opening as one could expect, especially since the theme for the conference was Romantic Improvement. It set the tone for the rest of the conference with papers ranging from improvements from laboring class poetry to interrogations into moral and sentimental improvement. Two panels of particular interest to me were those on illegitimate theatres, presented as a tribute to the late Jane Moody. As my work deals with romantic period drama and racial representation, the papers in these panels offered me great insights and I managed to learn a lot. My own paper dealt with the political valence of the trope of the Noble Savage in the various adaptations of Oroonoko across the eighteenth century. I received some really good feedback on my paper which gave me a lot to think about. The conference was very well organised thanks to the tremendous work put in by the organisers and the dedicated student volunteers. Their effort is much appreciated. Apart from the conference, the city was a joy to walk through with the beautiful sights around the old wall. The streets and the sight of the York Minster was just fabulous on those rare occasions the sun peeked out of the clouds. It was all in all a great experience. I look forward to my next BARS conference. 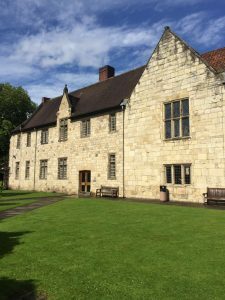 Embodying the ethos of the British Association for Romantic Studies as an organisation, the University of York’s BARS 2017 conference managed to combine intellectual rigour with a friendly, relaxed and encouraging atmosphere. With a panoply of papers covering the theme of ‘improvement’ in a broad variety of forms and contexts, delegates were spoilt for choice and, short of being able to be in two places at once, I most definitely missed as many great paper as I managed to hear. Warmly hosted by the conference organisers and supported by a team of knowledgeable and helpful postgraduates, the conference not only provided me with a chance to present on Scott and develop some ideas for the future, but also opened my eyes to entirely new fields of research. As is the case with all of the best conferences, indeed, I spent the days following BARS in a flurry of reading, keen to pursue some of the ideas discussed both in papers and during the all-important coffee, lunch, and wine breaks. With the musical stylings of Le Strange and Maxim’s, ‘Lyrical (Power) Ballads’ offering an unforgettable soundtrack to the conference, BARS 2017 will not only be, for me, a fond memory, but will also be key in the development of my future work and research. Many thanks to the organisers for providing all delegates with such a great weekend! BARS 2017 was certainly a conference that improved me intellectually. Coming from archaeology rather than a literature background threw me into the proverbial deep end, with my notebook filling up names, theories, and ideas I was previously unaware of. The session I spoke in was particularly enlightening due to the fruitful and stimulating discussion that followed the papers. Alison Morgan’s paper on the songs and poetry of Peterloo was fascinating too and her forthcoming anthology should prove to be a useful and interesting book. Ideas of sound and soundscapes, the role of material culture in constructing spaces and landscapes, where the snuff boxes of Bob the horse may be, and the importance of tunes in poetry and songs of radicalism and protest were all explored. Overall, it was an engaging conference and I am grateful for the bursary that allowed me to experience it and Theresa May’s lyrical ballads. BARS 2017: Romantic Improvement was a truly engaging conference that brought together scholars from across the world. 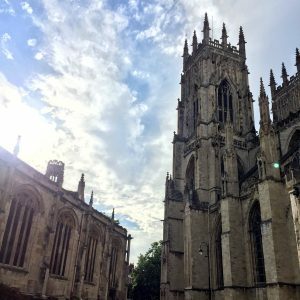 King’s Manor provided a stunning conference venue in the heart of medieval York, and the team from the University of York put together a wonderful event. I’m surely not the only delegate who will forever cherish the memory of Christabel being sung to the tune of ‘Total Eclipse of the Heart’. Numerous concurrent panels made selecting one quite difficult, particularly given the wide range of topics in Romanticism included in the programme. Women’s writing was especially well represented at this year’s conference. The first of two panels on Improvement in Austen’s Novels kicked off this thread, with papers by Joe Morrissey, Emma Clery and Rita Dashwood, all of which suggested nuanced readings of women’s agency in Austen’s fiction. My own paper on forms of improvement across variant versions of Katherine Wilmot’s circulated travelogue manuscripts was situated on a panel with Nick Mason, Sarah Faulkner and Susan Civale. The panel stirred a thought-provoking debate on methodologies for researching and recovering Romantic women’s life writing and biography. An excellent panel on the Leverhulme-funded project on The Lady’s Magazine argued for a new appraisal of the periodical, with Chloe Wigston Smith, Jennie Batchelor and Jenny DiPlacidi all presenting compelling research that resituates The Lady’s Magazine as a community building and intellectually stimulating forum for women readers and writers of the Romantic Period. Other highlights included a panel on Print Culture and Knowledge, with Anthony Mandal rediscovering gothic networks in the Romantic book trade, Marianne Brooker investigating Coleridge’s fluttering, fugitive knowledge, and Gillian Russell exploring the ephemeral ballooning trail of Sarah Sophia Banks. Nigel Leask’s plenary took us on a hilarious Scottish tour alongside two outlandish pedestrian vagabonds, raising questions about the limits of philosophy and hospitality in Romantic travel literature. The conference dinner at the Merchant Adventurers Hall provided a lovely cap to the proceedings, with Professor Jon Mee stepping in as quiz master for all things York-related. 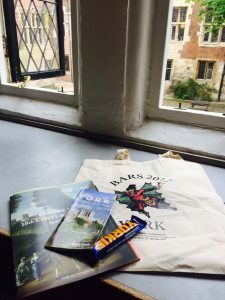 The BARS conferences continue to offer an exciting range of research while also provide a welcoming space for collegiality among Romanticists. I’m already looking forward to the next meeting in Nottingham in 2019. ‘Romantic Improvements’ was my first international BARS conference and my notebook is filled with the detritus of twenty panels: of James Hogg’s fictional sojourn in South Africa, John Clare’s involvement with the politically significant Beerhouse Act of 1830, and Shelley’s ruinous poetics. My paper on Clare’s transcriptions of Keats found echoes in Casie LeGette’s paper on the Co-operative Movement’s suggestive reprintings of poems by Southey and Wordsworth – a connection I’ll be sure to follow up. Most fruitful perhaps were the new friendships – cemented at the pub and within earshot of a brilliant combination of Lyrical Ballads, togas, eighties rock, and political satire. After failing dismally at the BARS quiz, held during the conference dinner in the rich-timbered Merchant Adventurer’s Hall, I’ll never forget that it was Frank Churchill’s aunt who lived in Yorkshire. Nor will I lose hope that some enterprising filmmaker will turn Nigel Leask’s pair of philosophical vagabonds travelling through Scotland into the subject of a Michael Winterbottom Trip-like film: green-tinted glasses, disintegrating sailor’s outfits and all! Thanks to all the organisers, to the York Centre for Eighteenth Century Studies, and for the wonderful King’s Manor for hosting the conference.